In production, with the public's assistance! 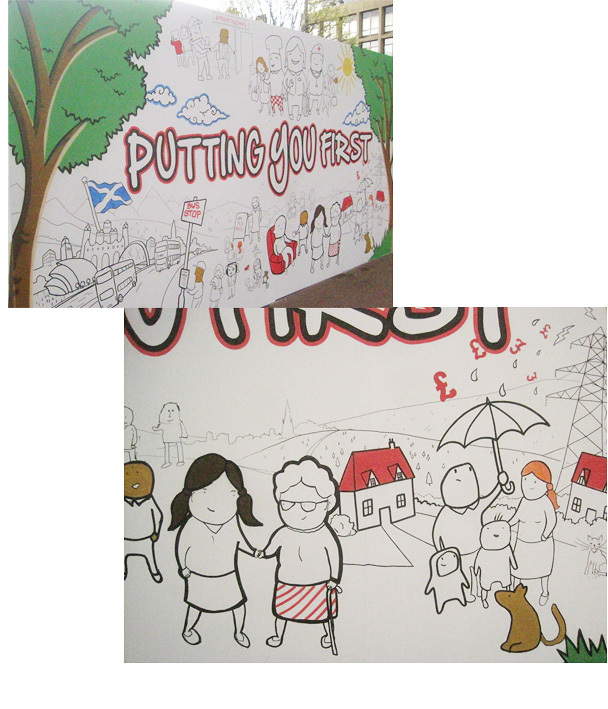 Commissioned by a PR agency, this live art wall was designed and produced by with public interaction in mind. 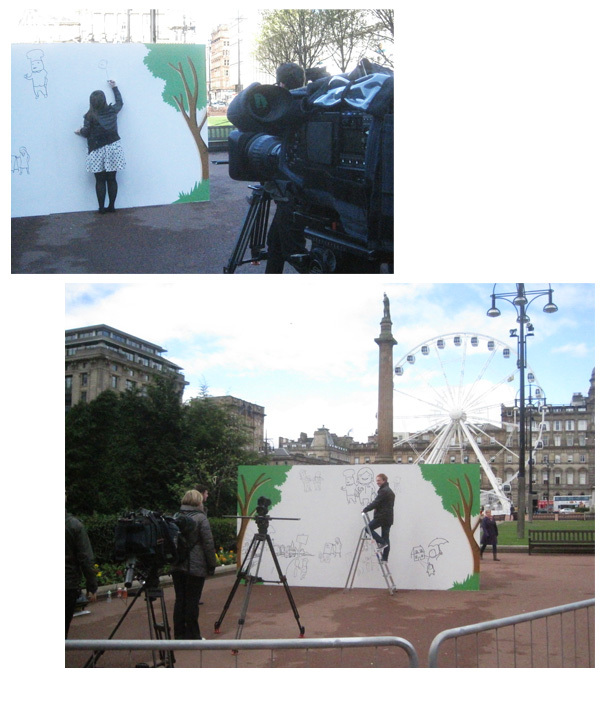 Filmed on location in Glasgow's George Square for a Party Political Broadcast for the Scottish Labour Party (not affiliated!) it was designed to illustrate specific themes, eg transport, power etc.